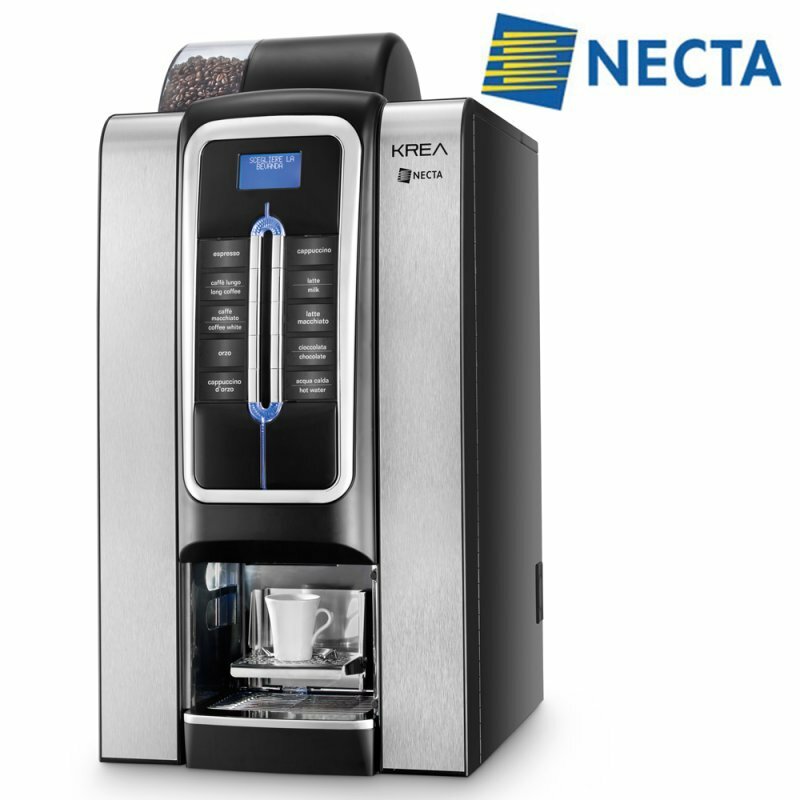 The Necta Krea vending coffee machine delivers, freshly ground coffee and hot chocolate at the push of a button, designed for table-top, or floor standing self-service hot drink machine. The Necta Krea uses milk powder, if you are not able to refrigerate milk, this is worth consideration. Ideal for offices, canteens, and in self-service locations. A good solution for remote sites or rural areas as it is easy to maintain when there is not someone managing the machine throughout the day.